Do you ever wonder what is the best mic for you? I just produced a video comparing various microphones that is embedded at the end of this post. Whether you are starting out or you own some sort of studio facility, one of the most important pieces of your equipment is the microphone. If you’re like many audio artists you may wonder what is the best mic for your uses. People ask me for recommendations and because I don’t know enough about their objectives and situation, I’m usually not very good at making good recommendations. I produced a video recently that compares various mics that I own. In the video, I describe the mics, play and analyze segments of the full recordings I did on each of them, and share some technical insight into mics. The mics on list range from $100 to $5,000., but as I said on the video, the most expensive is not always the best. There are stories of U2 and Michael Jackson making hits on the $100 Shure. One thing I didn’t talk about in the video was the importance of the supporting equipment as I mentioned above. Keep in mind that you are recording through a chain of various equipment. Lots of microchips, transisters, tubes and other things through which your signal must travel before landing on your listener’s ears. If you have a low-quality pre-amp into which your mic is connected, you’ll get less out of a high-quality mic. You certainly won’t be getting the full potential of the mic. Same with the interface that converts the real noise of the instrument into the 1s and 0s that your computer will recognize. If the converter produces a poor signal, you’re missing much of what your high-quality mic is capable. 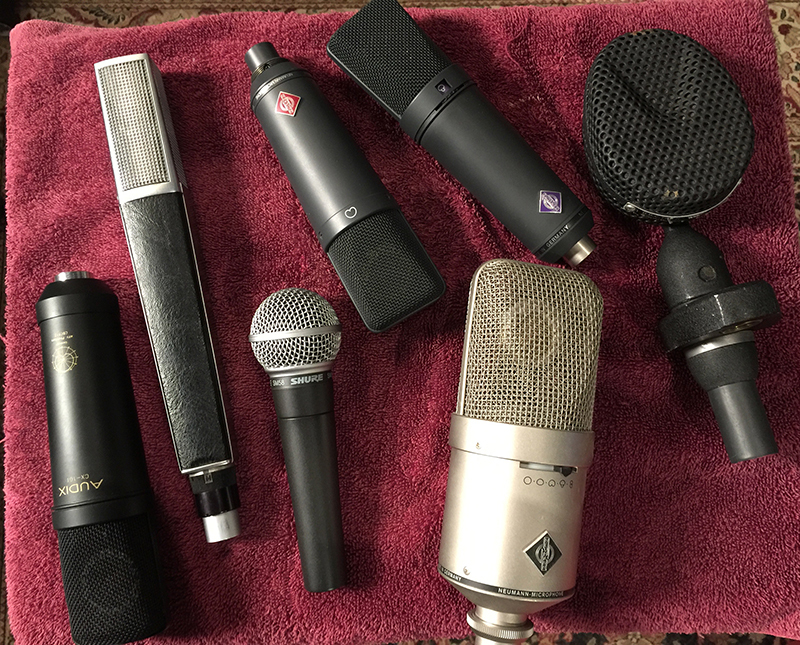 If you are looking to spend money on a new mic (or used, which is a significantly better buy), you could 1. get a high end mic, knowing that you will be getting a matching quality mic-pre and A/D converter as you add to your studio, or 2. buy a mic that your equipment is capable of utilizing well but no more. This is if you plan to keep your current equipment longer term. Watch and listen carefully as I talk about their sound character of each and how their various tendencies contrast with the others. I recorded on the mics going into Logic and used a spectrum analyzer that I displayed throughout the video. I suggest listening with good speakers or headphones because some of what I contrast is subtle. If you are looking for a mic or what to learn more about mics (and how they record alto trombone), watch this video.